Hydraulic cylinders are crucial components in many applications, the failure of which can have serious implications. It therefore makes sense to keep your hydraulic cylinders in good working order. Hydraulic cylinders are sometimes viewed as consumables, which are simply swapped out as faults arise. While this is a legitimate approach, it can save a business money by not having to repair or replace cylinders as frequently. Preventative maintenance can do this. Furthermore, adopting a simple servicing regime for your hydraulic cylinders can keep machinery performing to a high standard without faults developing. 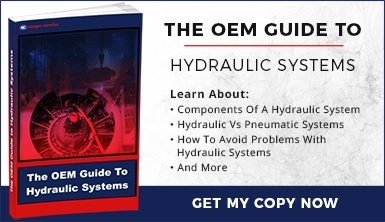 Here is a straightforward maintenance regime that will detect and prevent common hydraulic cylinder faults before they become serious problems. Most hydraulic systems have an inbuilt regulator and filter, linked to a lubrication oil reservoir. Check the reservoir regularly to ensure your oil is topped up. Inadequate lubrication may cause your hydraulic cylinder to overheat and the component to fail. You should also occasionally check the oil line that runs from the reservoir to the regulator, as this can sometimes get clogged. This can be tested by blowing air through the oil line onto a white sheet of paper. If no patch of oil appears on the paper, then the line is blocked. 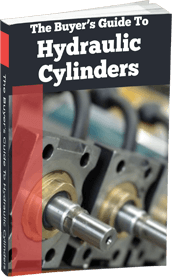 Excessive lubrication oil in a hydraulic cylinder can also slow down the piston stroke or stop it altogether – a problem known as Hydro Lock. Many hydraulic system failures result from contaminated oil, which is why you should periodically clean your filters, and replace them when they lose efficiency. Oil filters accumulate dirt particles over time, which can build up to the point where the filter becomes completely clogged. At this point, the oil starts to bypass the filter, allowing contaminants into the cylinder. This can quickly cause damage, so how do you tell when a filter is blocked? This is a simple matter of attaching a differential pressure gauge to your hydraulic cylinder at the oil inlet and outlet nozzle. If inlet pressure is higher than pressure at the outlet, it could indicate a blockage. Shut down your equipment, remove the oil filters and clean them. If the filters are damaged, replace them. Corrosion: This is a sign of excessive atmospheric moisture in your hydraulic system, or the presence of water in the hydraulic cylinder itself. This can be caused by damaged seals, but can also increase the risk of friction damage to your wiper and rod seal. Uneven wear and tear: A sign your piston rod is misaligned, which could be the result of damaged seals or bearings. Physical damage: Pitting, dents and scratches on your rod increase friction, which can damage your seals. It also increases the risk of corrosion build-up. If your piston rod is damaged you may be able to repair it by reapplying a chrome coating and polishing the component. However, it is sometimes quicker and cheaper to replace a severely damaged piston rod, rather than attempt to repair it. Damaged seals cannot usually be repaired and should be swapped out as soon as a fault is noticed. A hydraulic cylinder is a complex piece of equipment, with numerous accessories that could develop faults! Preventative maintenance should include checks of the rod eyes, ball joints, cylinder brackets and pivot pins. Visual inspection is not always possible for internal components, but faults can be detected by monitoring the performance of your machine. Major faults can cause vibration, overheating and noise, which makes them easy to detect, but minor (or emerging) faults may be betrayed by slight inaccuracies in movement, or performance outside of established tolerances. An argument against preventative maintenance is the cost of downtime compared to the cost of repairing faults. This can be avoided by keeping a stock of spare hydraulic cylinders which can be swapped out while other components are being serviced. This itself can be a means of testing the performance of a hydraulic system and identifying faulty cylinders. 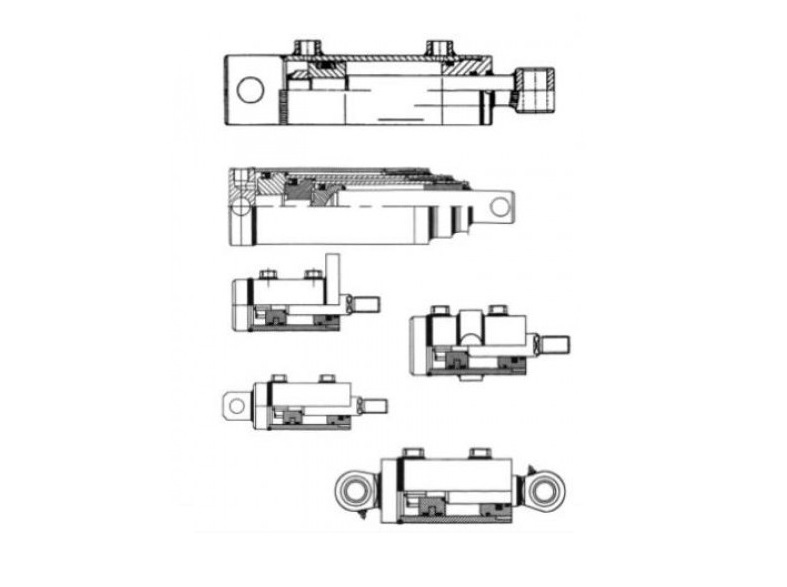 Regularly rotating (as in swapping out) hydraulic cylinders will also decrease general wear and tear and reduce the risk of mechanical failure. At Ranger Caradoc our hydraulic cylinders are designed to last, but every cylinder delivers greater ROI when subjected to a straightforward preventative maintenance plan. We produce a wide range of standard and bespoke cylinders for different applications and can advise on the most appropriate maintenance actions for each component. In the event of a fault, we also keep a large stock of spares for fast dispatch. Get in touch today to find out more. 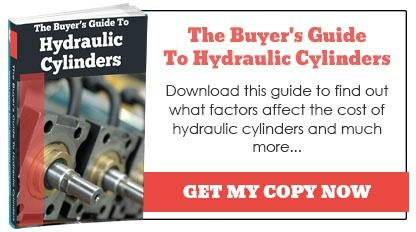 More information can also be found in our Buyers Guide To Hydraulic Cylinders.